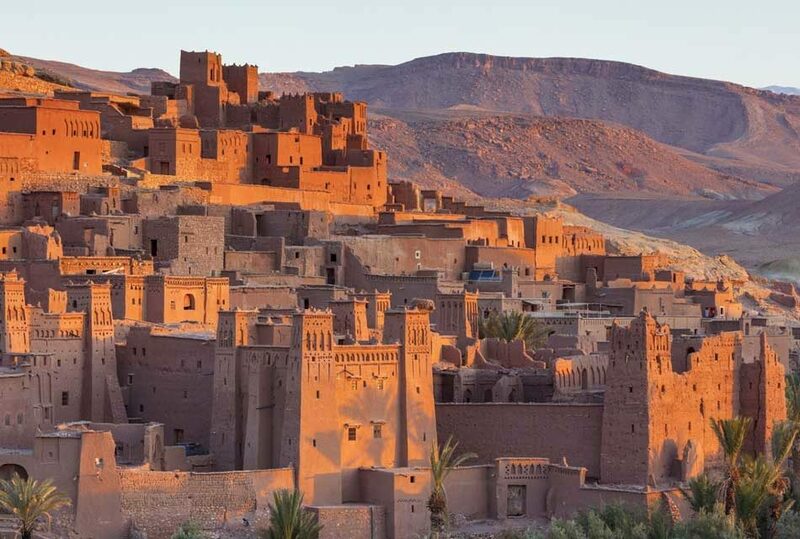 Morocco is in itself a super-wanted destination with enormous rates of visitors getting to explore the country all year around…It’s a virgin piece of land full of attraction and excitement. However, have you ever wondered what are the ten best attractive destinations in Morocco? 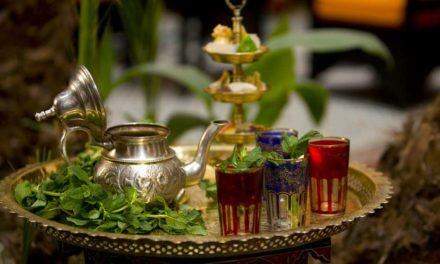 Whether you are a foreign visitor, a Moroccan citizen or just a beauty seeker, this would be your guide to localize best sites of attraction in Morocco and push you forward to take off and live the coolest experience ever. Marrakech Medina is a vibrant center, which connects huge numbers of locals and international visitors. The entrance of the city is a vast square called “Djemma el-fna”. It is too crowded with visitors and vendors roaming together in every corner of the square. The so-called snake charmers are busy performing their bizarre shows and traditional musicians are following them with their intimate rhymes! Life is so crowded, colorful and noisy! It’s a worth trying experience. You want to know more about it? Go and explore the souks, traditional shops and street food providers. It is nothing but a wonderland! 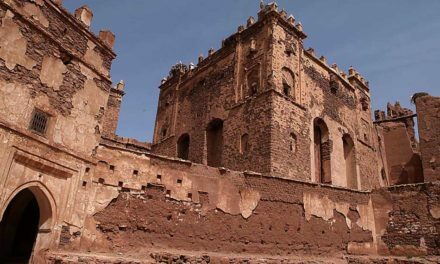 This is a kind of Kasbah which represents another attractive destination. It is most commonly known with its orange color and it has been entitled to host many cultural campaigns and festivities. Meanwhile, it has been chosen by film producers to serve as a film making location. Situated in Casablanca-the largest city in Morocco- this mosque is a top–rated national monument classified among the best on the international scale. 10000 artisans took part in shaping the internal decoration of the mosque. The marbles are carefully and perfectly carved reflecting every detail of the Moroccan, Muslim and Arab styles. It is very high building surrounded with legendary scenes, very close to the borders. So when people are inside performing their daily prayers they could see the water and dive in Allah’s miraculous creations. It is a very quiet corner, which is relatively far away from the city. It has an outstanding look with its white and light blue paints of the walls. It is extremely modest, clean and organized which gave the city an extra charming view. The tops of the houses are decorated with plants and roses and everything here goes in harmony…people are so modest, hospitable and friendly…although very modest, it is considered as a must-see destination. If you are a curious history investigator, this is then your exact destination. It is rich with Roman traces, temples and Roman ruins. The traces of earlier empires are facing the sight of the visitors. The ruins are getting a greater importance than that bound to the other parts of the city because it is situated on the hilltop. You can have an easy access to this attractive site from Fez or Meknes. Fes is considered to be one of the breath taking destinations and top attractions! The old city is called Fes el Bali. The old city looks just like an endless maze where foreigners can easily get lost and this is one of its beauty secrets. The local people often serve as guides to give a help to any visitor seeking guidance throughout the old area. This is a cool destination for beauty lovers…It is also hikers favorite refuge. Its peak is covered with thick layers of snow. The area seems to be a raw spot where you can spend enjoyable time! This is another wonderful mystery which belongs to a very fascinating history. It is a huge gateway situated at the entrance of Meknes city which looks super gorgeously decorated representing the reign period of the Sultan. This is an iconic destination located in the beautiful Rif’s mountain range. It’s the treasure of blue heritage! The streets are very narrow and interrelated. Walls are all dyed in light blue and that is the best attraction for tourists who head to the city to take pictures in every corner. It’s a great place to renew your energy and take a deep breath to relax because it’s very quiet and simple. This city has a cultural history which stretches back to the past centuries. This explains the big interest shown by tourists to explore the cultural wealth of this city. It has been described by many occidental writers and presented a real source of inspiration for some others. 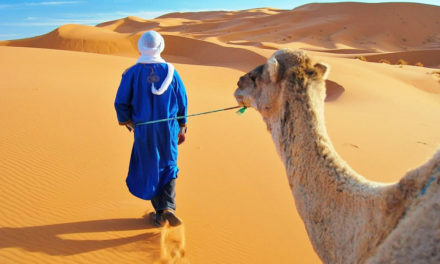 Previous10 helpful information about traveling to Morocco and its people. Next7 Things you have to do before traveling to Morocco!